The Rocky Mountain EHS Peer Group is celebrating 24 years of service in 2019. The group was founded in 1995 to enhance the knowledge of safety, environmental, and regulatory affairs professionals in the oil and gas industry. The Peer Group has been beneficial in getting many of us up to speed on current and upcoming regulations, providing solutions on various problems, and for creating a network to assist in job placement. The Group and meetings are entirely volunteer driven. Guest speakers are selected based on topics of interest to the peer group. The meetings are held four times per year on the third Thursday in January, April, July, and October. The meeting date may be adjusted to avoid a holiday, conference room availability or another industry event. The meetings are held in Denver, Colorado and start at 8:30 am. The meeting starts with a short business session and updates from the Colorado Oil & Gas Association, Colorado Petroleum Association, Western Energy Alliance, and the Petroleum Association of Wyoming. Guest speakers then give presentations on current environmental or safety issues. Each meeting typically covers 3-4 relevant topics over the spectrum of environmental, health, safety and/or related regulatory issues faced by the oil and gas industry. Guest speakers include state and federal regulatory officials and industry experts. The format of the meetings is intended for information sharing, collaboration, and open dialogue with time for Questions and Answers during/following each presentation. Consultants, regulators, vendors, service providers, and the general public are welcome to attend all meetings. You do not have to be a member to attend. The meeting is not to be used to solicit work or market products. You may leave materials for distribution. The meeting attendee list will not be distributed. To become a member, please visit the Join page. Our FREE quarterly meetings are open to everyone. 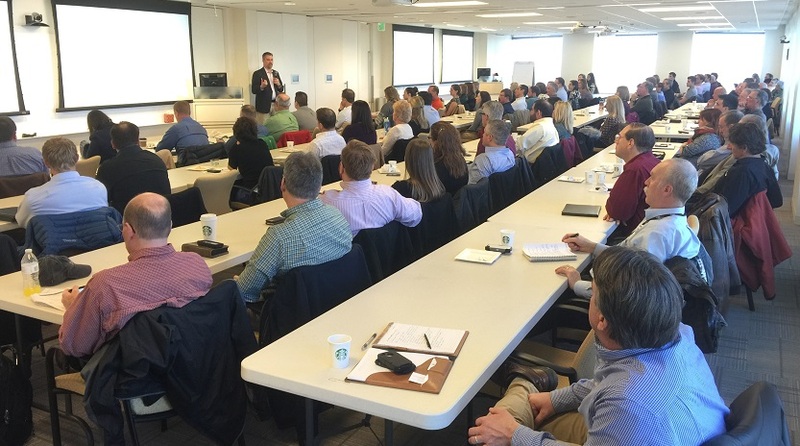 More than 500 EHS professionals from 120 companies are members of the Rocky Mountain EHS Peer Group. There are no dues or fees associated with the Rocky Mountain EHS Peer Group. YES, this is a free group! All we ask is that members volunteer to sponsor the quarterly meetings or volunteer to sponsor the breakfast. Seeking employment? You are welcome to attend any meeting. At the start of the meeting we go around the room and we introduce ourselves. You can state that you are seeking employment and that your resume is available on the front table and / or posted on the website. The next meeting is scheduled for Thursday, April 18, 2019 This is the meeting agenda. The group is volunteer driven and your support keeps it moving forward! If you are a member and would like to sponsor an upcoming meeting, or an upcoming meeting breakfast, please send us an email at contact@rmehspg.org. Thank you to all the previous meeting sponsors and to Tallgrass Energy for sponsoring the website. This is the list of previous meeting sponsors.